Thana Faroq gave a powerful keynote speech about the power of storytelling at the 2015 IB Africa, Europe and Middle East Conference in The Hague, Netherlands. Thana is an IB graduate from Yemen with a passion for telling the story of her homeland through photography. Her pictures reveal unheard narratives from the daily reality of Yemeni people during their civil war. Thana posted this photo and message on her Everyday Yemen Facebook page “We were out and we returned home, we found ourselves homeless” Though the house was completely destroyed, she asked me to stay and offered me bread she was making. 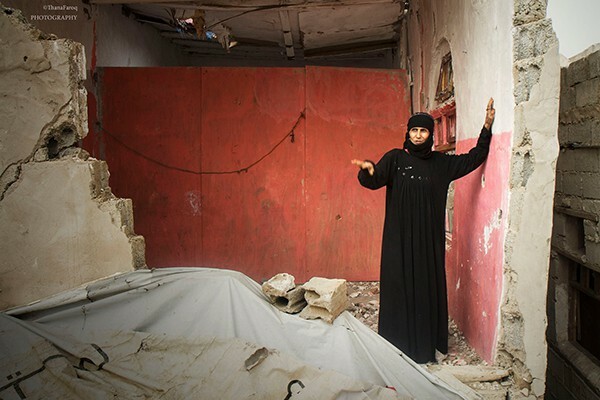 The war has destroyed their house but it certainly didn’t destroy their kind&warm hearts. One of the most heartbreaking stories I’ve ever documented. My story with this family& the rest of photos will be posted on my website soon: http://thanafaroq.com ‪#‎Yemen ‪#‎warlife ” كنا خارج ولما رجعنا البيت، ماعد كان في بيت” المؤثر طلبت مني انتظر لما يجهز الخبز وتجبلي اطعم.يمكن الحرب دمرت بيوتهم بس قلوبهم النقية عمرها ما بتدمر. قصتي مع هذه الأسرة المتضررة من الحرب وبقية الصور انشرها في موقعي. Conference attendees were impressed by what Thana revealed, showing how photos cannot only impact those whose photos are taken, but also those who see them. Take a look at the conference keynote and featured speaker presentations here. Speakers included Pasi Sahlberg, Peter Senge, David Perkins, Robert Coe and Simon Breakspear. Also read this “storify” collection of social media posts from participants throughout the conference. The theme for the IB’s regional conferences in 2016 is “learning together”. Thana Faroq was born and raised in Yemen and completed the IB Diploma Programme in Canada. 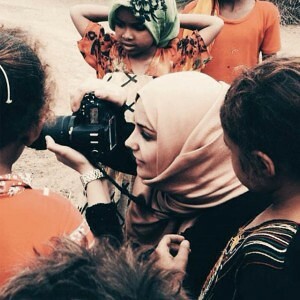 She is currently working on her Everyday Yemen project as a street and documentary photography.